NASA has shipped the Orion spacecraft’s main engine to Europe to be integrated with the European Space Agency’s Automated Transfer Vehicle (ATV), which serves as the backbone of Orion’s Service Module. The specific engine sent to ESA has flown in space 19 times aboard Space Shuttles Challenger, Discovery, and Atlantis. It underwent vibration testing at Johnson Space Center in June prior to shipping. Airbus Space & Defence is responsible for integrating the engine into the ATV-based service module, which provides propulsion, electrical power, water, and thermal control as well as the oxygen and nitrogen atmosphere for the crew. NASA selected the ATV to provide power and consumables (oxygen, water) for Orion in 2013 as part of the agency’s effort to include Europe in U.S. space exploration efforts. ATV also has the advantage of being a proven design, as it flew to the International Space Station five times between 2008 and 2012 to provide supplies. In addition to supplying the service module for EM-1, ESA announced Dec. 2 they would also provide one for Exploration Mission 2 (EM-2), scheduled for 2021. EM-2 will be the first crewed flight for the Orion spacecraft. “We are excited to be a part of this historic mission and appreciate NASA’s trust in us to help extend humanity’s exploration farther afield into our Solar System,” said Dave Parker, ESA’s director of human spaceflight. Seems kind of old to me, like my 2001 Expedition. Hope it works better than one of my oxygen sensors. What do you expect from a shell of what nasa once was. Hope someone has the sense to give back the budget and maybe a new constellation type program. Well it’s an efficient engine. Comparing your car to rockets is a ridiculous comparison. Why is that a ridiculous comparison? They made both car engines and rocket engines as well as they could back then, and technologies affecting both have improved greatly since. It’s good to see the systems coming together for EM-1. I read in an article a while back that the space shuttle OMS thruster was a design from the Apollo service module main engine thruster. If that is the case, then, it will be doing exactly what it was originally designed to do. 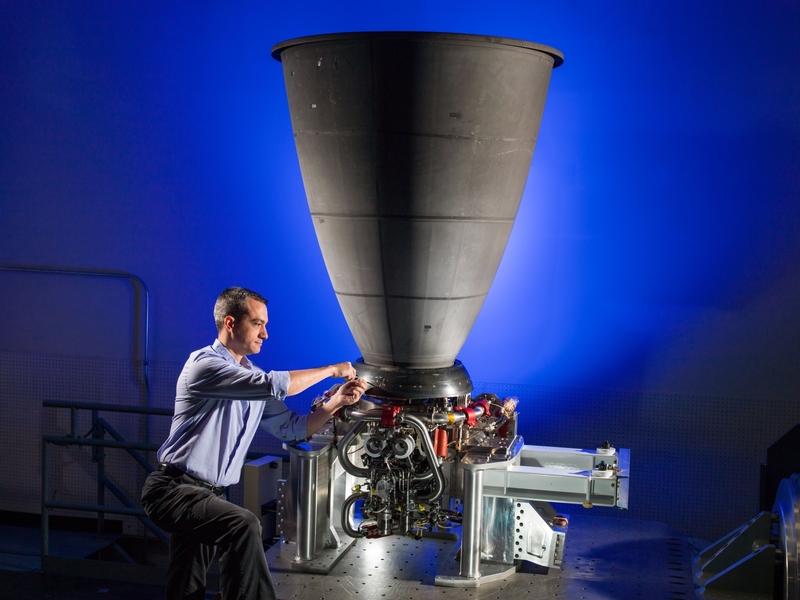 The use of the OMS (AJ-10) engine is a testament of how the NASA and the government have stifled all innovation. The AJ-10 engine was developed in the mid-1950s for the Vanguard rocket. It was first fired in flight in 1958. It was used again on the Delta II second stage and as the main engine on the Apollo Service module and finally on the space shuttle as the OMS engine. You cannot tell me that a 60 so year old engine is the best we can do. Think for a moment why would USA pass their best tech to europe? It’s polictical goodwill just to keep relations up and potential cost sharing, until Trump dishes out the $dosh for Mars next year.